The Holidays are upon us and I can’t wait to join all the festivities this year. I get a little more nostalgic about the holidays as the years pass by. Is it the same for you? One of the things that my mom likes to make for holidays parties is fruit pizza. 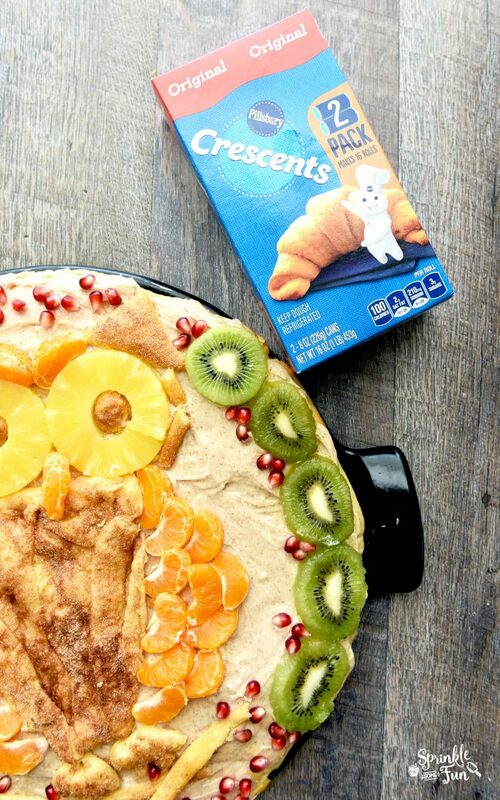 Our favorite version of fruit pizza is made with Pillsbury Crescent Roll Dough and topped with a creamy cream cheese topping and fruit. It’s an easy recipe that feeds a crowd and never fails to please. 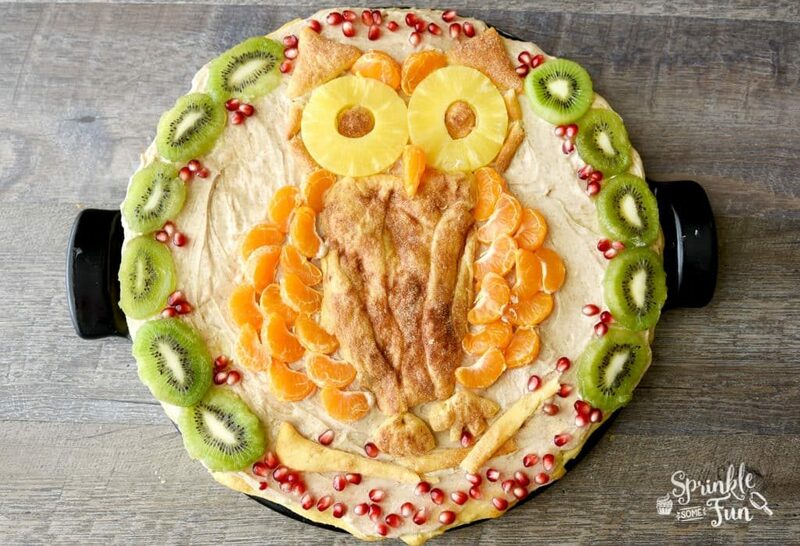 This Owl Fruit Pizza is a fun twist on the classic! I also added some cinnamon to the mix which will be perfect for fall and winter holidays. 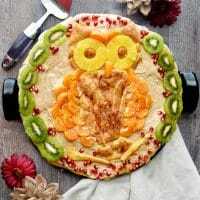 Isn’t the owl so cute? 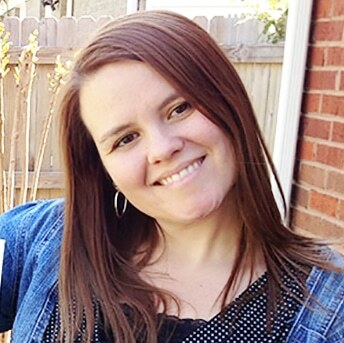 The best part about this recipe is that it is pretty versatile. I am using in season fruits and canned fruits. I think the pomegranate seeds are perfect with this and they taste great too! 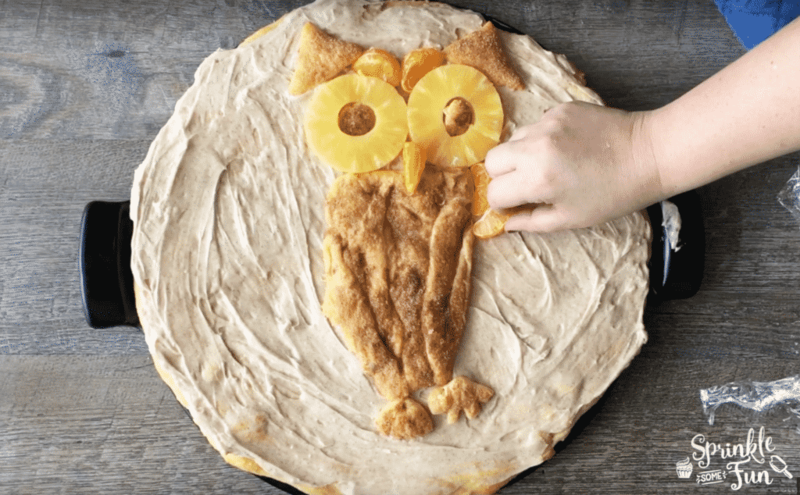 The rest of the owl I used the crescent rolls to make the shapes and covered them with cinnamon sugar to make the owl brown. I love that I can get the Pillsbury Original Crescent Rolls Twin Pack 8 oz at Walmart since we usually use 2 packs when we make them for parties. You’ll need two ears, claws, tree branches and the body of the owl. Place the owls belly on first and then build the rest of the owl around it. The body is just an oblong trapezoid shape. I also used two small circles inside the pineapples for eyes. The other fruits are mandarin oranges and kiwi fruit. 1 block softened cream cheese 8 oz. 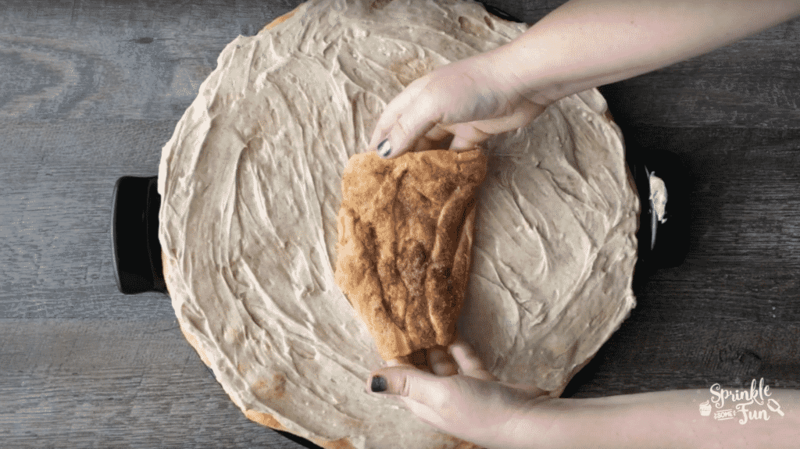 Spread 1 1/2 cans of the Pillsbury crescent roll dough out on a 16 inch pizza pan or baking stone. Bake at 350 degrees F for around 10 minutes or until it is golden brown. 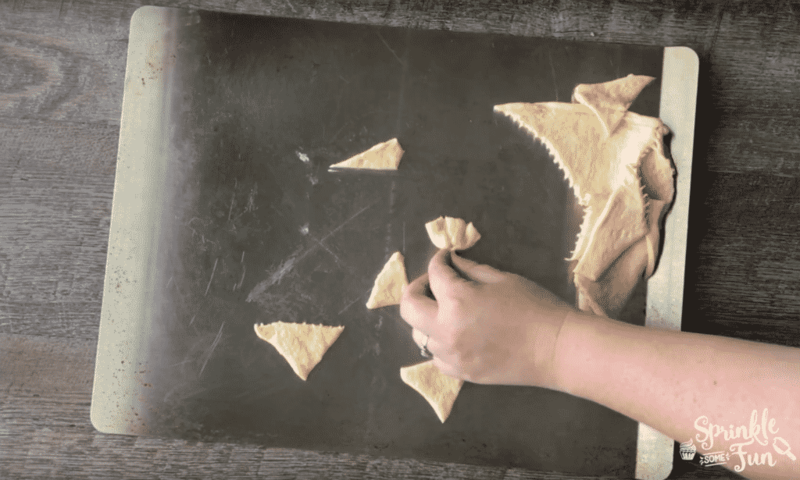 Meanwhile cut the rest of the dough into the pieces that will be used to shape the owl. (see tutorial). Sprinkle the pieces with cinnamon sugar and bake for 10 minutes at 350 degrees F. Let these cool before using. In a medium sized bowl combine the powdered sugar, cream cheese, cinnamon, vanilla and milk. Beat on high with mixer until smooth. Spread on the cooled crescent pizza and cover the whole pizza. Top with the fruits and crescent roll pieces according to the tutorial. Cut with a pizza cutter to serve! Enjoy! Watch the video to see everything in action! I think it’s just adorable and perfect for any holiday meal! 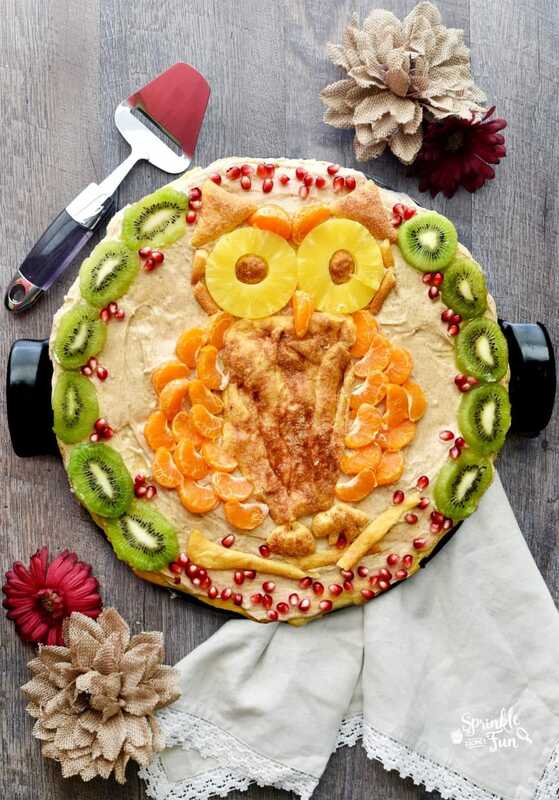 Do you like to make a fruit pizza for your holiday meals?